Fifty years after the Space age began, it is time to examine the effects of spaceflight on society. One of the most important impacts of the Space program has been in the area of food safety and shelf life stabilization. Almost from the beginning of the Space program, irradiation has been at the core. We have much to be thankful for and we can be grateful that NASA and Pillsbury saw the value of food irradiation. Indeed food irradiation is one of the most effective tools we have to improve the security of our food supply. Let's hope that the full potential of irradiation will be realized in the years ahead. FEATURED ARTICLE: Thanksgiving in space:...Irradiated turkey on the menu. MYTH of the MONTH.."Food Irradiation"
ALSO in the NEWS: What's the beef with irradiated beef? Astronauts on the International Space Station enjoyed a tweaked version of the traditional Thanksgiving menu. While most of the US roasted turkeys and splooshed cranberry sauce out of cans, the astronauts aboard the International Space Station floating high above the Earth, enjoyed a Thanksgiving meal of their very own out of bags. While most Americans are roasting turkeys and emptying cranberry sauce out of cans, the station crew will be cutting open bags of freeze-dried, irradiated and thermostabilized foods. Their menu will include traditional holiday fare with a space-food flair - irradiated smoked turkey, thermostabilized candied yams and freeze-dried green beans and mushrooms. The meal also will feature NASA's own freeze-dried cornbread dressing - just add water. Dessert features thermostabilized cherry-blueberry cobbler. The space station Expedition 42 crew is made up of Commander Barry "Butch" Wilmore of NASA, Flight Engineer Terry Virts of NASA, Flight Engineers Anton Shkaplerov, Alexander Samokutyaev and Elena Serova of Russia's Roscosmos and Italian Flight Engineer Samantha Cristoforetti of the European Space Agency. Station food generally resembles that, for the most part, flown in space since the inception of the Space Shuttle Program some 30 years ago. 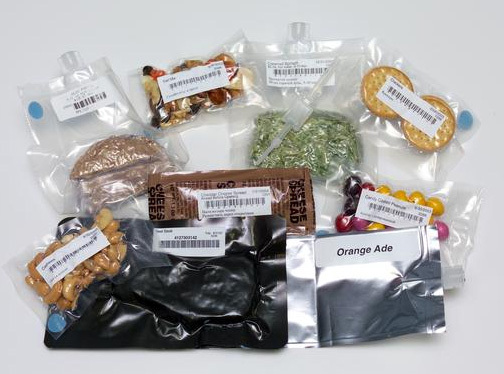 NASA is researching and developing ways to extend the shelf-life of food needed for deep space missions, such as those to Mars, and to minimize the volume of packaging. The agency also is using the International Space Station as a laboratory to learn how to grow plants, such as lettuce, in space. Future crew members spending Thanksgiving in space may have one traditional staple, fresh sweet potatoes. The sweet potato may be one of the crops chosen for crews to grow on deep space missions. It provides an important energy source - carbohydrate - as well as beta-carotene. The sweet potato is able to adapt to a controlled environment with artificial sunlight. It is highly adaptable to a variety of vine-training architectures. The main shoot tip, or the end of the main vine, is the only really sensitive part. It sends hormones throughout the plant that stimulate root development, which is important since it is the roots that become the sweet potatoes. The side shoots, if picked when young, are tender and can be eaten in salads, improving the plant's usefulness. Scientists believe most food items in the transit food system on future deep space missions will resemble those used on the station. Advanced processing and packaging methods will be needed to provide extended shelf lives and improved nutrition for the longer missions. Stored food and salad crops will be used in the early stages of planetary stays until permanent living bases are constructed. According to the food safety historians (and every HACCP class) the world of food safety was revolutionized by a partnership between NASA and Pillsbury. Jennifer Ross-Nazzal writes about the history in Societal Impact of Space Flight. Concerned about safety, NASA engineers specified that the food could not crumble, thereby floating into instrument panels or contaminating the capsule's atmosphere. to meet the outlined specifications, food technologists at Pillsbury developed a compressed food bar with an edible coating to prevent the food from breaking apart. in addition to processing food that would not damage the capsule's electronics, the food also had to be safe for the astronauts to consume. Almost immediately food scientists and microbiologists determined that the assurance of food safety was a problem. [Pillsbury microbiologist Howard] Bauman recalled that it was nearly impossible for companies to guarantee that the food manufactured for the astronauts was uncontaminated. "We quickly found by using standard methods of quality control there was absolutely no way we could be assured there wouldn't be a problem," he said. To determine food safety for the flight crews, manufacturers had to test a large percentage of their finished products, which involved a great deal of expense and left little for the flights. According to The Telegraph, American astronauts on the International Space Station are enjoying a risk-reduced and HACCP-inspired Thanksgiving meal including irradiated smoked turkey. NASA Astronauts Terry Virts and Barry Wilmore cobbled together a festive feast by combining foods that are stocked on the station. The meal also includes candied yams, freeze-dried dressing, cranapple desert, mashed potatoes, green beans and mushrooms. Crew members get 'bonus containers' in which they are allowed to carry special items for specific holidays, like Thanksgiving or Christmas. "So this product is ready to eat and they just warm it up and eat out of a packet with a fork. The term "Food Irradiation" has no practical meaning. "Food" is not irradiated. 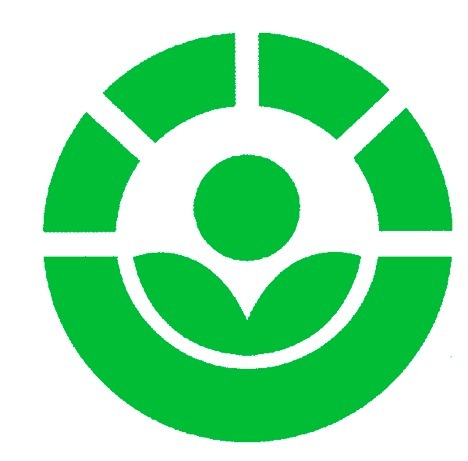 However, specific products, which are consumed as food, are irradiated for specific purposes. 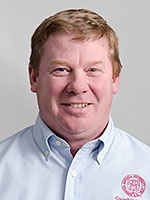 A company that produces ground beef purchases an irradiator. Their plan is to irradiate their final packaged product to minimize the health threat of food borne pathogens for their customers. Do they become a Food Irradiation company? No, they are still a Meat Processing company. A foreign company installs an irradiator to irradiate fruit for export to the United States. The purpose of the irradiator is to disinfest mangoes to assure that there are no viable insect pests that may potentially harm US crops. Are they a Food Irradiation company? No, they are a Fruit Exporter. I want to have hamburgers tonight. I am going to go to my favorite market. There I am going to look for hamburger patties. Personally, I prefer the added safety assurance of purchasing irradiated patties, so if they have both irradiated and non-irradiated hamburgers in stock, I will purchase the irradiated burgers. If they only have non-irradiated hamburgers for sale, I will still purchase them even if they do have irradiated mangoes on their shelves. I am not going to the store to buy "irradiated food". I am going to the store to buy hamburgers...and perhaps a can of creamed succotash. BUFFALO, N.Y. (WIVB) - Food irradiation is designed to reduce the risk of foodborne illness and preserve food. According to the U.S. Food and Drug Administration, like pasteurizing milk and canning fruits and vegetables, "irradiation can make food safer for the consumer." Robert Ralyea, a senior extension associate with Cornell University's food science department, said he believes the technology is sound. "People have been eating irradiated food for a long time and they probably don't even know it," said Ralyea. The FDA is responsible for regulating the sources of radiation. The agency states that only after it "has determined that irradiating the food is safe" is a source of radiation approved for use on foods. 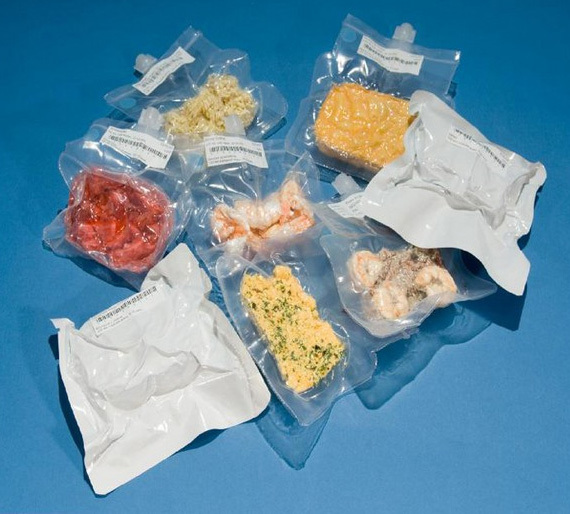 The food that NASA astronauts eat has been sterilized by irradiation to avoid getting foodborne illness in space, according to the Centers for Disease Control and Prevention. 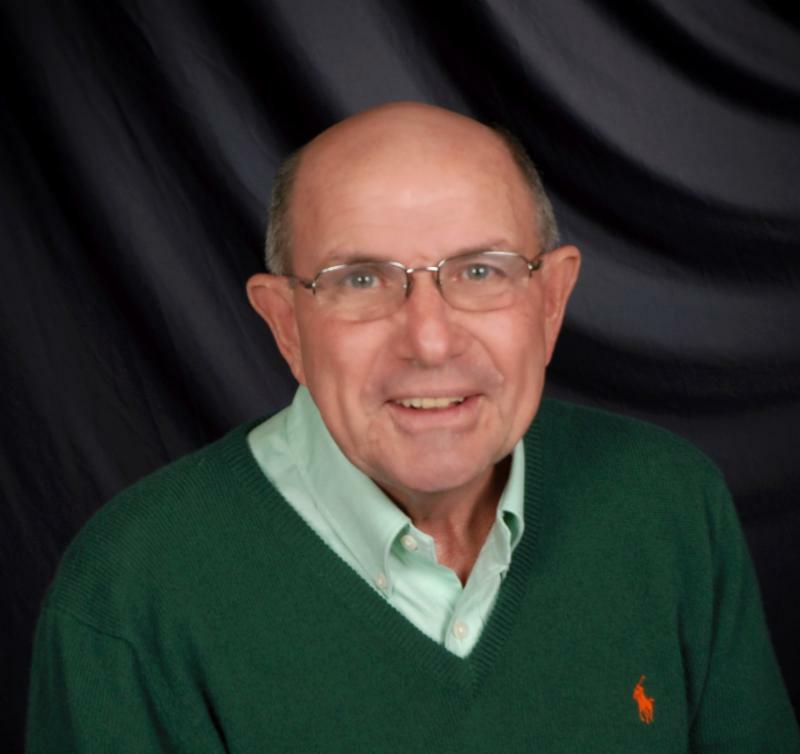 Hamburg resident Jack Connors is convinced that irradiation is a plus when it comes to grilling a juicier burger. "It gives a little more taste to it. You don't have to burn it to enjoy it," said Connors as he was selecting a package of burgers at Wegmans on McKinley Parkway. 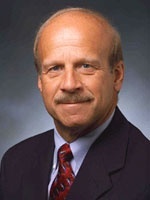 Robert Gravani, a professor of food science at Cornell University, calls it a safe process that produces a good product. "Yes, it is safe. The food, and I want to make this point very, very clear. The food is not and cannot become radioactive," said Gravani. "The safety has been assured by many, many government agencies in the U.S. and around the world." The process involves exposing foods to radiant energy, like gamma rays, electron beams and x-rays. The FDA states that irradiation can be used to "effectively eliminate organisms that cause foodborne illness, such as Salmonella and Escherichia coli (E. coli)." "The one that's used for ground beef is accelerated electrons," added Gravani. "It destroys their DNA. It causes their cell membranes to leak and the bacteria die." The FDA states on its website, that irradiation does not make foods radioactive, compromise nutritional quality, or noticeably change the taste, texture, or appearance of food. The agency states: "In fact, any changes made by irradiation are so minimal that it is not easy to tell if a food has been irradiated." "I think that there are still a number of consumers out there who have an issue with the process," added Gravani. "And I think like everything else once people understand what it is, how it works, and they understand a little bit more about the safety of it, and the science behind it, they'll recognize that this is a safe and efficacious process." Wegmans, for example, makes all of its specialty burgers from irradiated ground beef. "You're targeting E.coli and salmonella," said Kelly Schoeneck, vice president of meat and seafood merchandising for Wegmans. "So customers can enjoy a medium rare or rare burger and not have to worry about it." Schoeneck says the beef is ground at one plant and then sent to Sadex Corporation, in Iowa where it's irradiated. "It's an electronic beam. It's like a big tunnel, and then it comes out and gets back on the trucks and ships to the stores," she added. Irradiation should not replace proper food-handling practices. Just think of it as an added layer of protection. That's precisely the way consumer Jack Connors sees it. "If I usually cook a regular burger, I'll cook it to pretty much well done. But this I don't have to worry about cooking it as well done," said Connors. One in six Americans will become sick from foodborne illness every year. Often it's because food hasn't been cooked to the proper temperature. NASHIK, INDIA: The Maharashtra State Agriculture Marketing Board (MSAMB) is planning to experiment with irradiation of onions from next summer to enhance its quality and shelf life. There is already an irradiation centre at Lasalgaon for irradiation of agricultural commodities. Currently, the MSAMB is irradiating mangoes before exporting the fruits to the US. 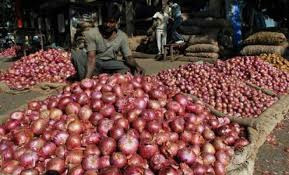 The MSAMB is also planning to propagate irradiation of onions among farmers after experiments. Speaking to TOI, an MSAMB official said, "The summer onions are generally stored by the farmers as the commodity grown in the rabi season has a good shelf life. The summer crop, which is harvested in March and April, can be stored up to September. But it develops sprouts and the weight is also reduced up to 30% during the storage. The shelf life of onions increases if the crops are irradiated. Keeping this in mind, we are planning to make experiments on both irradiated and non-irradiate onions to check the effect on the quality. We will find out how much shelf life of irradiated onions increases, whether the irradiated onions get sprouted after five six months and how much is the loss in weight." He further said, "If the weight loss in irradiated onions after six months is 10 per cent and they do not get sprouted. Then it can be a win-win situation for the farmers. Hence, we will make experiments on irradiated and non-irradiated onions from April next year. We select seven to eight farmers and make experiments on their onions. If the experiment is successful, we will propagate irradiation of onions among farmers." As per the norms of USA, irradiation of mangoes is mandatory before exporting those to the US. Accordingly, the Maharashtra State Agriculture Marketing Board (MSAMB) has taken up irradiation of mangoes from the 2007-08 financial year. In the season during 2014-15, the Lasalgaon irradiation centre has irradiated 295 metric tonnes of mangoes for export to USA. CHENNAI, INDIA: Ever wondered how the insect got inside the mango seed or the worms in a sealed packet of wheat flour? Well, they were born there. The mother laid eggs on the mango flowers, or on the flour before it was packed. The food we consume has these unwanted organic matters in lots, not to speak of microbes. This is also why fruits and vegetables rot. The way to combat this menace is, of course, to kill them. The traditional Indian method has been to sun-dry everything. We even put up beds on the roofs to get rid of the bugs. However, a more modern way is to irradiate stuff to sterilise them. Providing irradiation services is good business and the Board of Radiation & Isotope Technology (BRIT), part of the Department of Atomic Energy, is trying to develop entrepreneurs who would take up this business. India has 15 such irradiation facilities today-woefully inadequate for a country of its size. Three of the 15 are owned by BRIT, which operates them on not-for-profit basis. These three are reference plants for high, medium and low dose radiation - high for sterilisation of medicines and syringes, medium for the likes of spices, pet feed and cosmetics and low for onion, potatoes, to prevent them from sprouting. The other 12 are owned by industries and entrepreneurs. Dr A K Kohli, Chief Executive of BRIT, says that the Board is working towards raising the number to at least 50 by 2020. BRIT also provides radio-active isotopes for industrial applications such as non-destructive testing, testing for leaks in pipes and cracks in columns and radio-medicine. The Board earns Rs. 80 crore a year selling these, again, on not-for-profit basis. Setting up irradiation facilities for third party use is good business, says Dr Kohli. It seems so, going by the experience of Universal Medicare Ltd, which owns two such facilities in Gujarat. Eight years back, the company set up its first unit of a capacity of 1,000 KCi (kilo curies, which is a measure of radiation) at a cost of Rs. 6 crore. "Twenty-five per cent for our own use, and 75 per cent for outsiders," says Jagdish Patel, Managing Director of Universal Medicare. Today, the business fetches profits of Rs. 5-6 crore a year, Patel told Business Line. Two months ago, Patel started his second unit, in Gujarat. Radio-active substances 'decay', or lose their power, about 1 per cent a month. So these units will have to keep adding 'pencils' (in which form isotopes such as Cobalt 60 or Iridium 192 are supplied). It costs Rs. 65 lakh for 100 KCi.